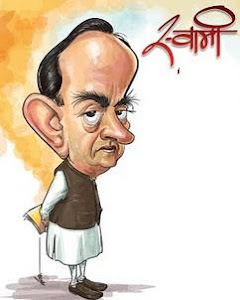 Know your Swamy: 'She (Jayalalitha) tried to murder me twelve times'!! 'She (Jayalalitha) tried to murder me twelve times'!! What exactly did she do to you? She tried to murder me twelve times. Yes, murder me, basically liquidate me. You must be new to Madras, or you just go through the old paper cuttings. She tried to burn me alive in a car, mobs attacked me, she tried to have me put in jail under TADA and made arrangements for people inside the jail to finish me off inside the jail.In fact, the Supreme Court, after seeing all this, gave me an order which in the history of the democratic world, no supreme court has given. They said, any warrant issued by any court in any part of Tamil Nadu can only be served on me in Madras and upon serving, and my handing a personal bond in writing of hundred rupees, I have to be set out on bail. This is an unprecedented order. I have never been scared. I am not scared of you journalists. Then, why should I be scared of murder? It's official! Swamy roots for Yeddy! He (Ram Jethmalani) pays back the favour ! He(Morarji) died saving my life ! What is this 'Swamy' 'ISI' 'Nabi Fai' Di? ?